This deep brown derby boot was made for a client who wanted a hard wearing all weather boot with a very low heel. 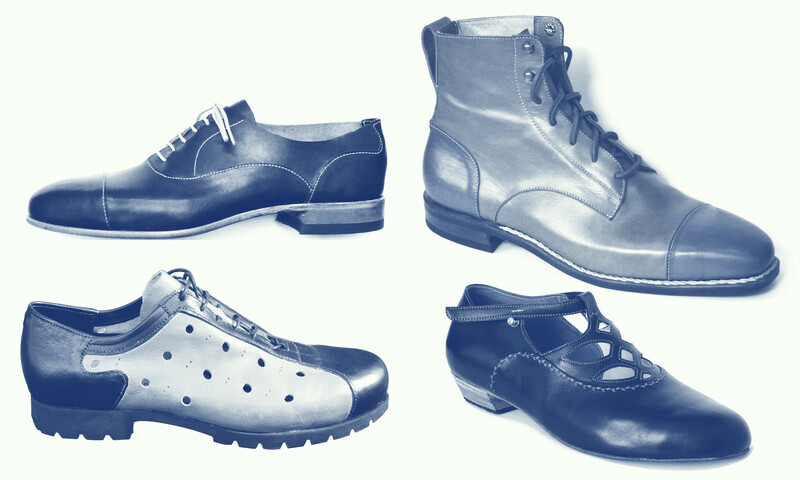 The upper leather is a German chrome free synthetic tan, with vegetable tanned lining, components, insole and midsole. Brass eyelets. 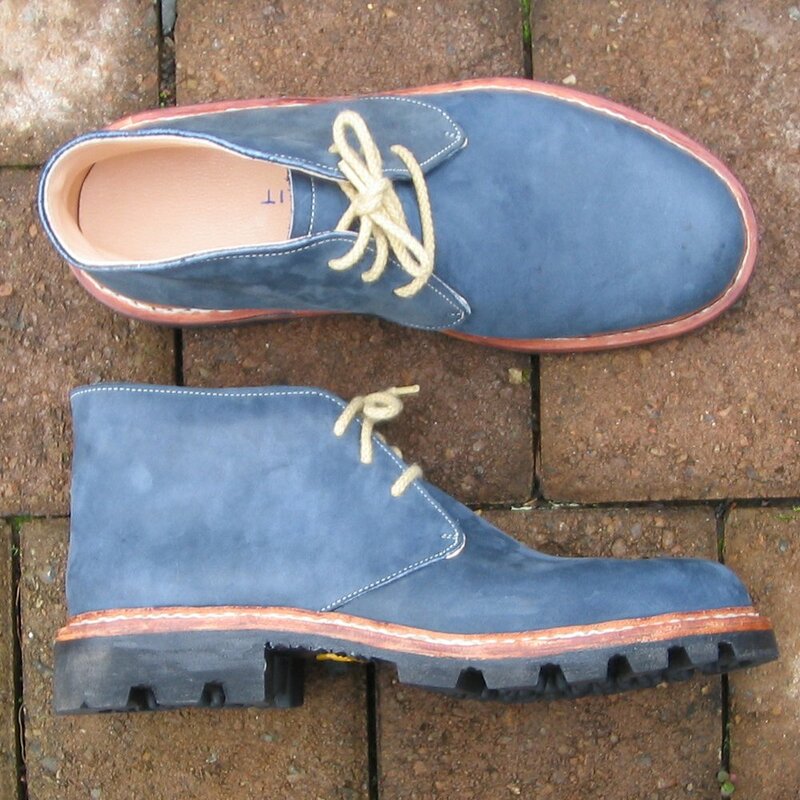 Welted construction and Vibram Oxford Gumlite outsole. 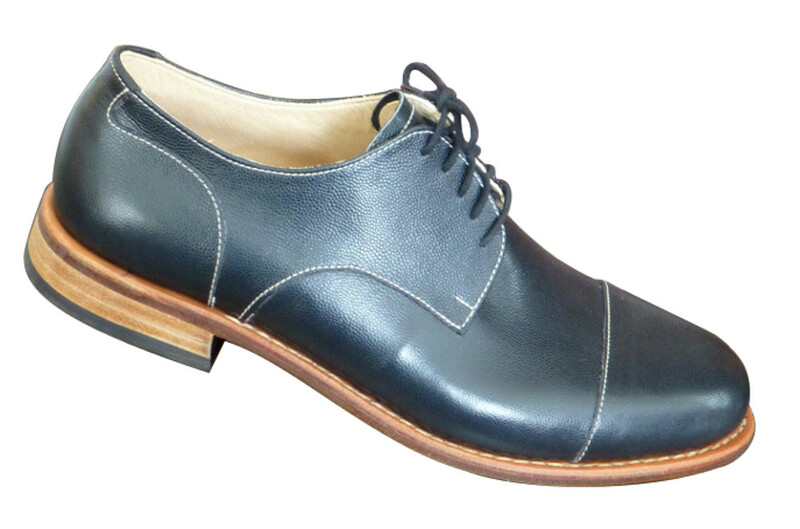 This derby shoe was made for instructional purposes. 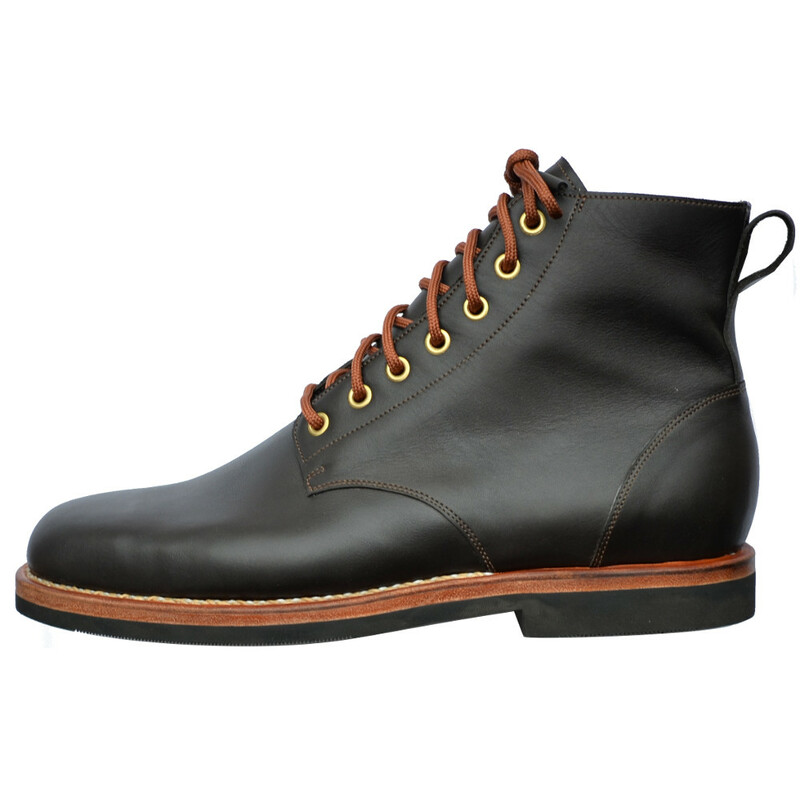 Plain old black upper leather with a pebble grain, basic lines with English quarters. 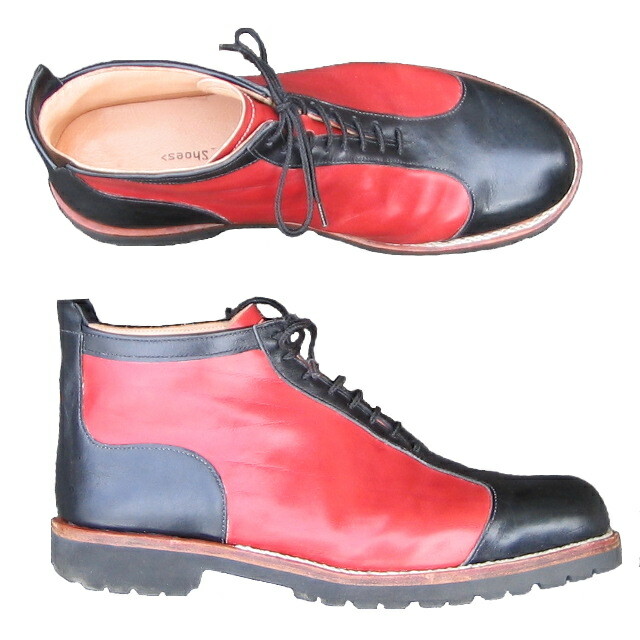 The construction is welted and hand sewn to a vegetable tanned leather outsole. Natural finish leather heels. Straight outsole stitch on the welt. Depending on what you wear it with and your mood, I think it could be considered casual or formal. 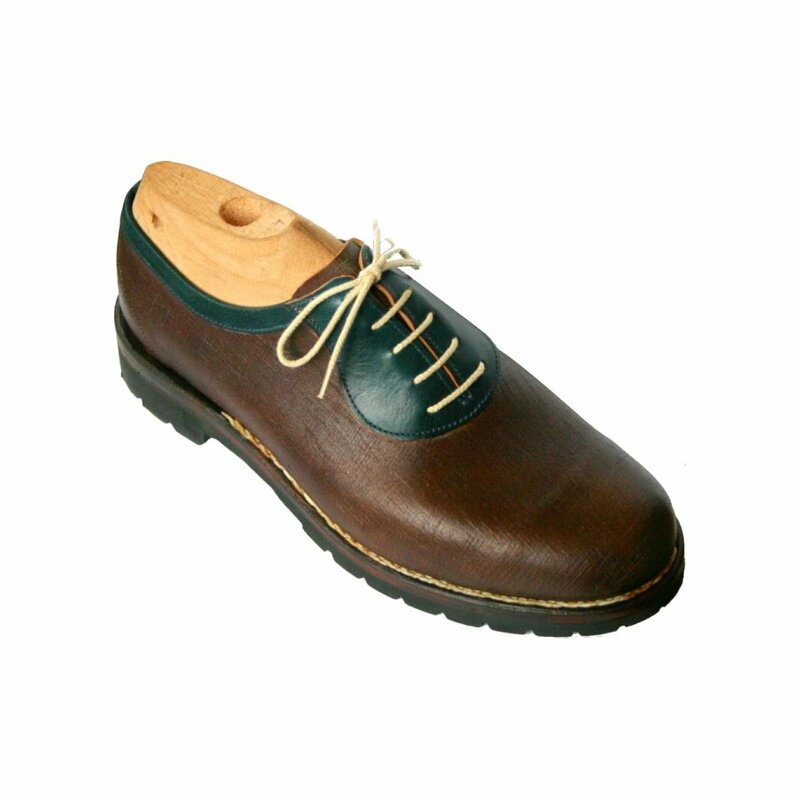 Upper is blue and brown vegetable tanned leather with an iridescent finish. Welted construction, leather midsole and Vibram Gumlite sole. My client wanted a design reminiscent of the Eurasian Kingfisher, a bird with dominant blue coloring and accents of orange brown on the chest and tail. In addition to the kingfisher colors, this design features a sweeping wing of blue as the vamp approaches the back strap. 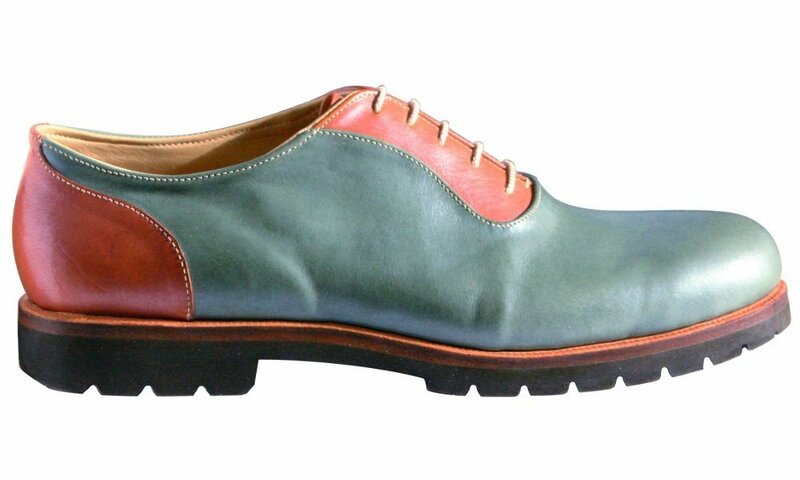 The vegetable tanned cow upper is also fully lined with vegetable tanned cow for extra durability. Welted construction stitched to the midsole using a braided stitch. A Vibram Gumlite unit sole is attached on over the mid-sole. Upper is vegetable tanned brown Bosco and blue Alba Tamponato leather from the La Ruota tannery in Italy. Welted construction, leather midsole and Vibram Gumlite sole. These low hikers feature Wolverine’s special waterproof pig suede chrome/veg retanned leather uppers, and vegetable tanned calf liner. Vibram cup sole to protect the toe. 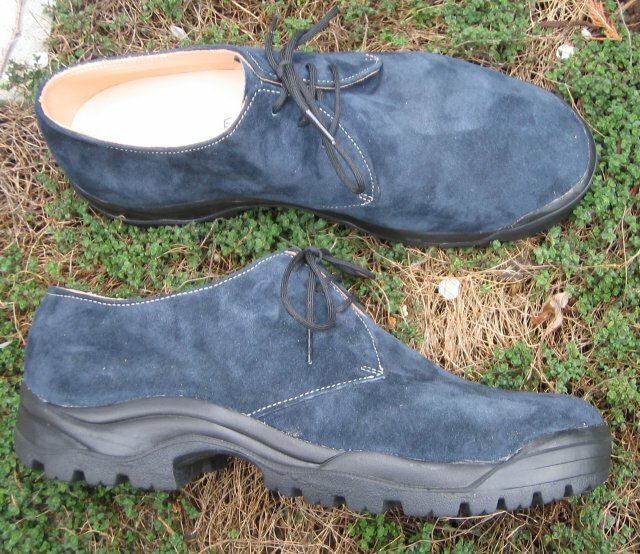 Blue Nubuk ankle boots, with vegetable tanned calf liner. Double stitch construction with leather midsole and Vibram Hunter sole.